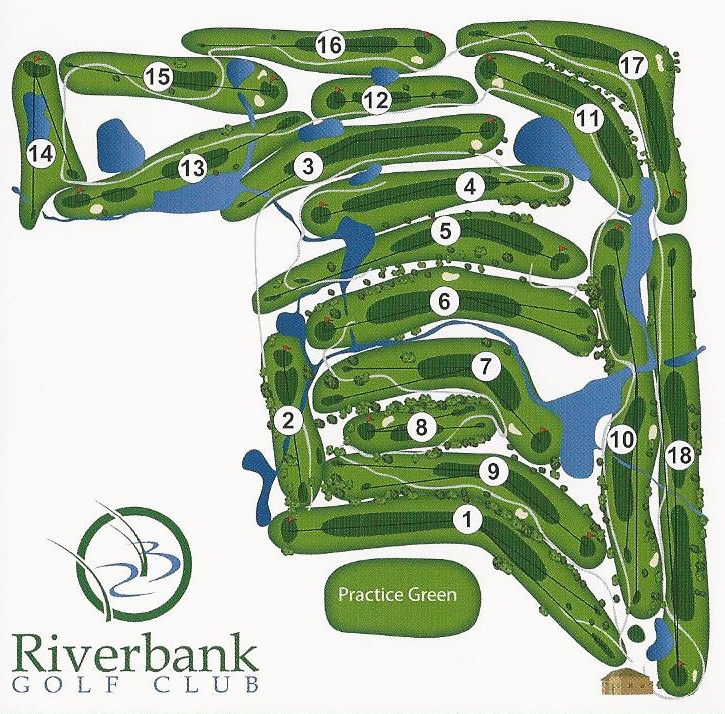 Enjoy this Par-4 course seven days a week.Voted as one of the “Best Courses in Southeast Michigan” the course at Riverbank Golf Club is a great destination for both individuals and groups. 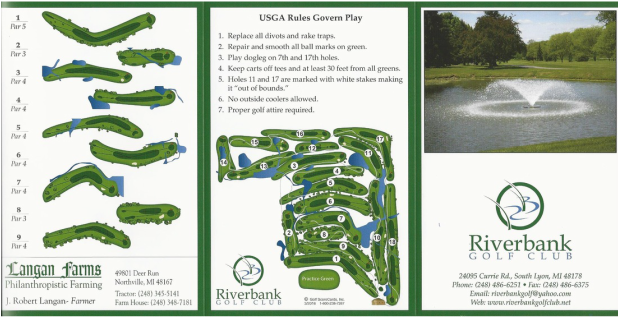 Home to the South Lyon Girls Golf Team, and host of 5 weekly leagues, this course is kept in top condition for all players. Daily rates include a golf cart, and a full kitchen awaits you right inside the club house. Holes 1-18 are spread across some of South Lyons most spectacular scenery, allowing you to fully enjoy this dynamic course. Warm up on our practice green before you head out, and remember golf is a game where you yell Fore, shoot six, and mark five! 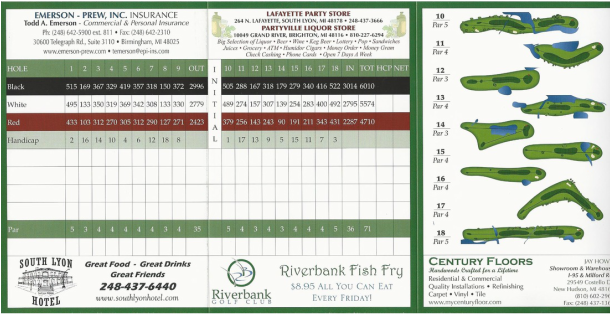 Fill out the form and send it to our address, email or fax. Payments can be made in person, mailed or by phone.